Due to the weather and daily use it does not take much for roads to become destroyed and pot holes to form. The professionals at South Bend Sealcoating can help. We offer a number of paving and repair services for both commercial and residential customers. Our professional staff is able to make the road sooth again and fill in any crack and damage that may have happened. 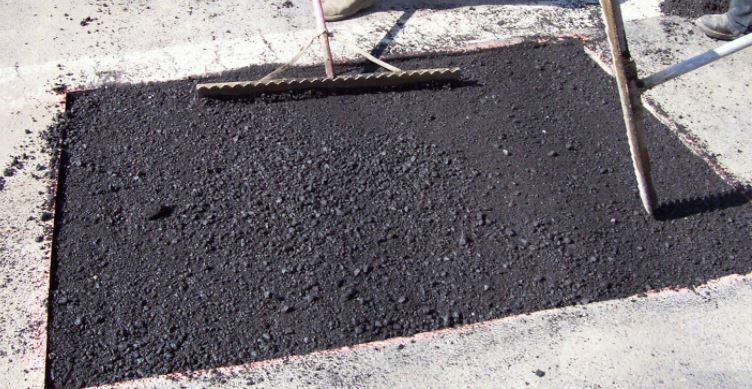 Asphalt Paving we charge per square foot and will charge by the ton. This can help save you money in the long run. We can pave parking lots, driveways, and other areas. This will help make things smooth for the cars to drive on and will decrease the damage happening to the car from roads that are not smooth or even. We know that the weather can destroy a road and any other paved area. We can patch holes in the asphalt including pot holes and other areas that can cause damage. We can resurface the blacktop and perform permanent pot hole repairs so that cars will not be damaged. We will also repair any cracks in the asphalt due to tree or weather that have cause this damage. In addition to repairing roads and black top we can assist with pavement crack filling services as well. We can seal any cracks in the walkways as well as any sidewalk or even patio area. We use rubberized asphalt as well as emulsion crack filler to repair these cracks as well as pavement cracks. In addition to repairing asphalt we offer a number of preventative measures to keep cracks and other damage from happening. We can put a seal coat on the asphalt to protect it from the weather and from traffic. This seal coat will reduce the occurrence of pot holes and other damage from happening. The seal coating can also give the asphalt a new and clean look. This is great for businesses that want to keep up appearance and keep their grounds looking good. ​Businesses rely on parking lots to be high quality. They need these lots to be free of debris and holes in order for their customers to feel comfortable to park. If a parking lot has many pot holes we can repair them. We also offer parking lot stripping services. We will completely redo the entire parking lot and make sure it is as smooth as can be. There is no reason why customers have to be scared away due to poor quality parking spaces. If there are any questions about any of the services we offer be sure to give us a call today. Our professional team can assist you today. We can repair any damage to the pavement or asphalt. We have a number of preventative services that will help protect the asphalt and prevent damage from occurring. We can patch any holes or cracks. Our technicians can make your area look as good as new again. Give us a call today to see how our services can benefit your home or business.